One of the first and most important things you need to do to rank in the search engines with your new site, is to add a sitemap to Google Webmaster Tools. This ensures Google will crawl ALL the pages on your site and they’ll send you more traffic! Since this is such a crucial step to ranking in Google, I’ve created this simple 3 step guide, which should take you all of 5-10 minutes to complete. * On my new sites, I like to add my sitemap immediately after I’ve set up my menu pages and I’ve written a handful of posts. 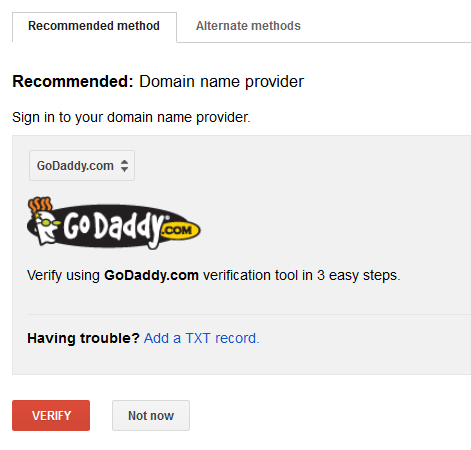 First, we’ll need to open up our Google Webmaster Tools account, add our site, and verify we are the true owner. If you haven’t done this already, follow these simple steps. 1. 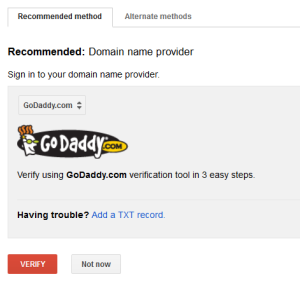 Login to Google Webmaster Tools – https://www.google.com/webmasters/tools – use your gmail account info to login. When you login for the first time, you’ll see a screen like this. Add your website url at the bottom. 2. Verify you own the site. 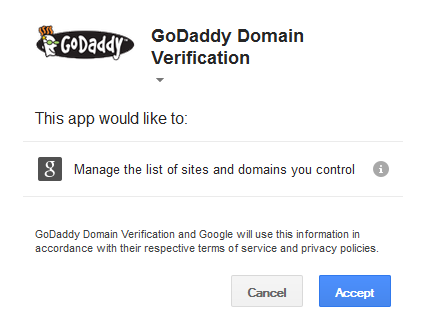 The easiest way to do this is by Signing In to Your Domain Name Provider (such as godaddy or bluehost,wherever you registered your domain) Then click Verify. 4. Go ahead and Accept/Verify. You should now be the verified owner of the site you submitted. 1. Open a new tab in your browser and log into your WordPress dashboard. 4. It should be the first one at the top. Click “Install Now” and then click “Activate Plugin”. 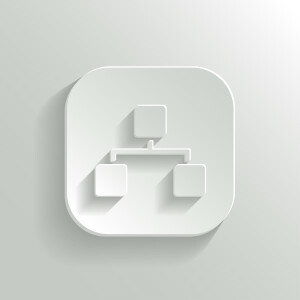 Your sitemap may generate automatically and you’re done with this step. 6. If not, you may see a screen that says you haven’t built your sitemap yet. Just click on the top link where it says “Click Here” to build it the first time. Now that we have created our sitemap, it’s time to add it to Webmaster Tools. You’re done! Your Sitemap has been submitted to Google Webmaster tools. Now it’s time to start getting some backlinks and watch your traffic and leads grow!